In training, we learned about the importance of the Word Study materials (independent practice for concepts such as antonyms, synonyms, contractions, alphabetical order, etc.). 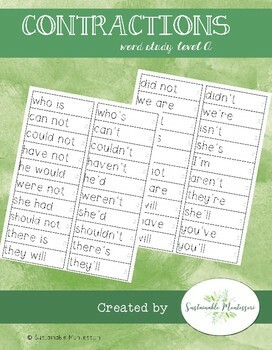 I've developed two sets of Word Study that address the Common Core standards for public Montessori- available in our TeachersPayTeachers store. Level A is for first and second year students and Level B is a more advanced version- it allows the students to practice and apply the concepts. 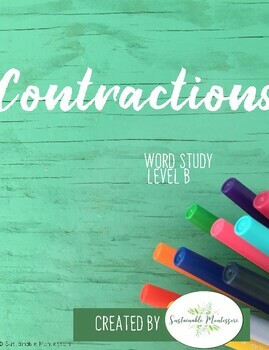 Here is a free sample of the Contractions Level A and B so you can see the difference between the levels! 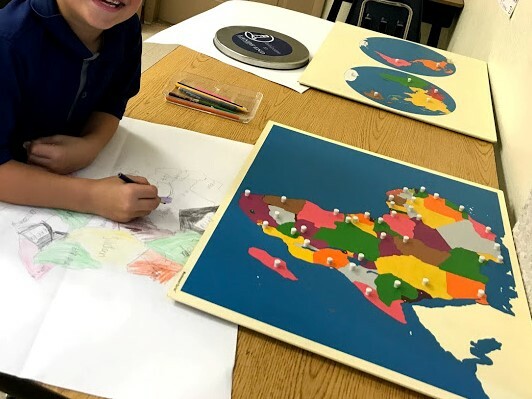 Welcome to the enticing world of Montessori! Come take a peek inside our Lower Elementary classroom and learn with us! Transitioning to Lower Elementary- Who's Your Buddy? © Sustainable Montessori. Made with love by The Dutch Lady Designs.